Is 125th Street the Next 14th Street? Big-Name Developers Think So. 14th Street, 23rd Street, 86th Street–there’s no question that these east-west thoroughfares are some of the city’s most bustling corridors of commercial, cultural, and residential activity. And 125th Street in Harlem could now be joining their ranks, a real estate trend dissected in a WSJ article today. Big-name NYC developers are cashing in on the street’s transformation. Greystone & Co. bought a $11.5 million site through a bankruptcy auction earlier this month, where they’ll put 75 market-rate and affordable apartments, along with ground-floor retail space. Across the street, Continuum Co. will add 700 residential units and 85,000 square feet of retail. 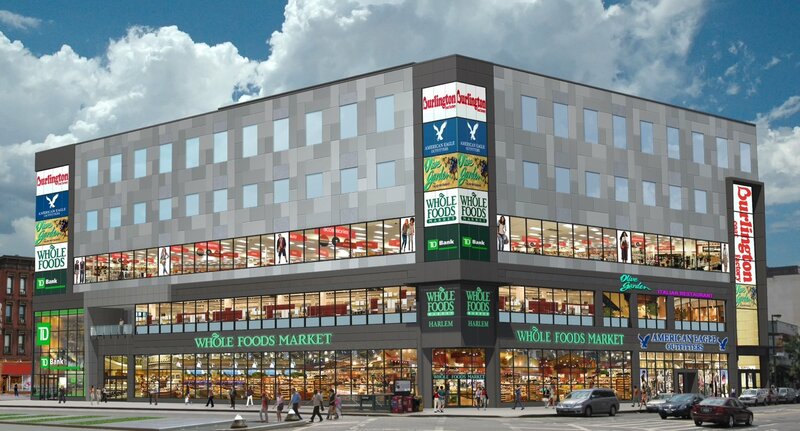 Nearby, Wharton Properties has obtained funding for their 33,000-square-foot retail complex that will be anchored by Whole Foods. Many real estate insiders cite the 2000 opening of Harlem USA, the retail complex at 125th Street and Frederick Douglas Boulevard, as the beginning of the commercial boom along the street. Five years later, world-famous art curator Thelma Golden took the reins at the Studio Museum in Harlem, and in 2010 Marcus Samuelsson opened his internationally-acclaimed restaurant the Red Rooster, both making Harlem–and specifically 125th Street–a cultural destination for locals and tourists alike. Since the end of the recession, 125th Street has been seeing another resurgence, much of which has been attributed to the announcement of Whole Foods moving in. Extell bought the former Pathmark site on 125th Street between Lexington and Third Avenues, and the Rockfeld Group is planning a 45,000-square-foot retail project next to the Whole Foods site. National chains like Red Lobster, Blink Fitness, Banana Republic and DSW are among those taking up residence in the slew of new developments. Aurora Capital Associates made headlines when they leased space at 5-15 West 125th Street to Bed Bath & Beyond and shared office space company WeWork. The 130-square-foot project is topped by 30 residential units. 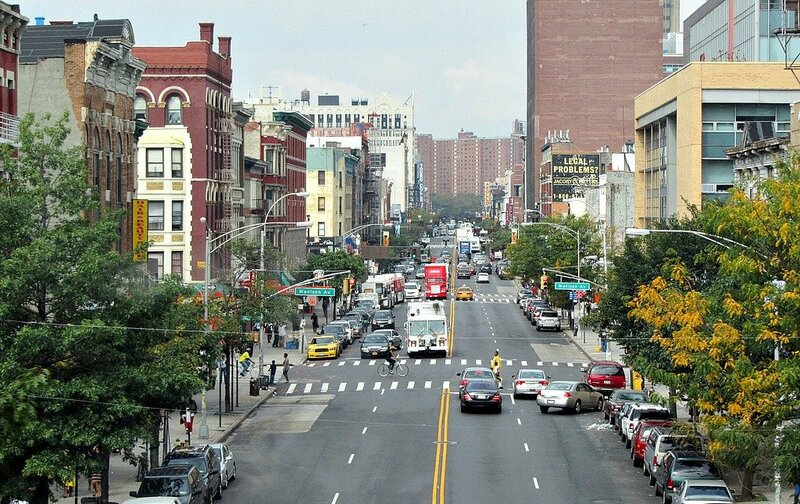 But it’s not just shiny new developments that make the Harlem neighborhood so appealing. It’s rich in history and architectural treasures, which has led the city to arrange rehabilitations of historic structures like the Corn Exchange Building. Those investing on 125th Street see it as a less expensive residential option compared to the Upper West Side or Brooklyn and a more affordable commercial option when compared to Midtown Manhattan. Do you think 125th Street is going to be the next 14th Street?